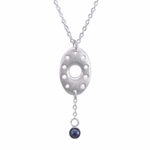 - An Open Oval Pendant with a single midnight blue pearl. Comes with a sterling silver chain. 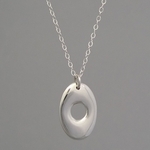 - A more casual Open Oval Pendant hung on a satin cord.